The Art of Being Spontaneous! I was Face-booking one evening and a posting just popped up in front of me: someone as giving out three free tickets to the Lost World of Tambun! My heart skipped a beat. Should I or should I not? 2 seconds went by. I thought to myself: “it’s high time I visited my mom”. Another 2 seconds: “the girls have nothing on this weekend – which is a rare thing”. 1 more second: “it would be fun.” I hit the Return button. “Me!” And that was how I ended up with three free tickets to a theme park in Ipoh! If I had thought too much into it, like how the house needed a good cleaning many springs ago, or the perpetual mountain of clothes that needed folding, or Arian’s weekend drum class and dancing classes….I probably would not have responded at all. But my instincts told me we should do this. Why? Just because.We don’t have to have answers for everything. We don’t have to rationalize our every action. We just need to follow our hearts. Most of all, we need to learn the art of being spontaneous! When the idea of forming a regular group of homeschoolers to do activities together on a regular basis, the thing that I was most concerned about was losing our ability to be spontaneous. 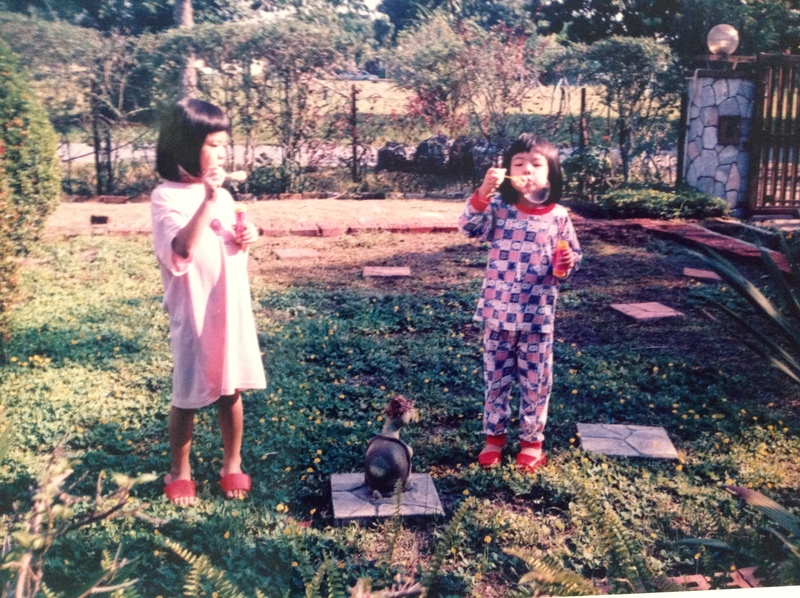 Our early years of homeschooling our girls was very much heart-driven – we could do creative art one day at home, and the next moment we could suddenly decide to go out to the park to pick flowers and leaves, or go to the kitchen to bake a cake. We don’t plan what we want to do for the week. We just went with the flow! Found lots of old photos of our girls taken during their early years together. They indulged in many hours of spontaneous activities together, and we have realized that all those activities had been vital in shaping and forming who they are today. One develops a deep sense of spontaneity, self-esteem and confidence from doing things without adult intervention or criticisms. Otherwise, they will grow up too afraid to make any decisions, even to the extent of not being able to decide what food or drinks to choose for themselves! Seriously, that can actually happen-we have real life examples to prove it! So, in life, do not think too much or plan too well – they will hinder you from taking the important but necessary steps forward. 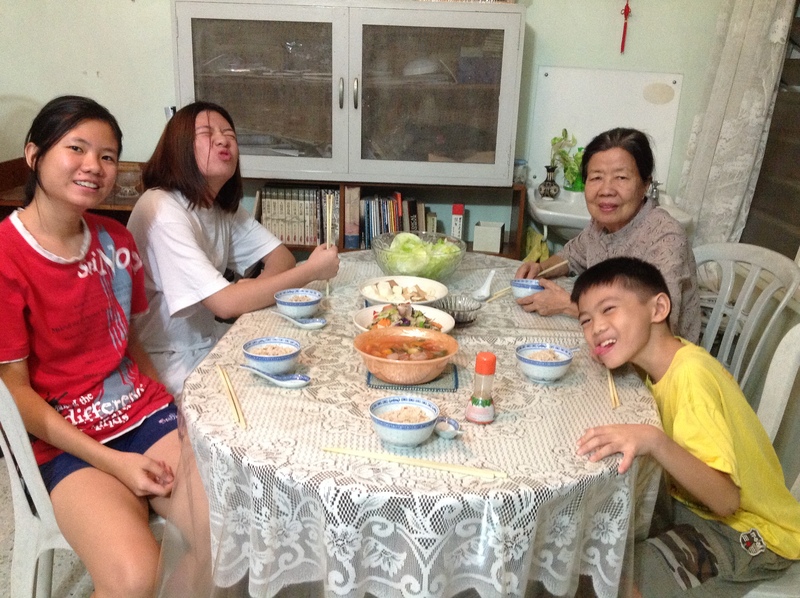 We came back from our spontaneous trip to Ipoh, happy, satisfied and recharged! It’s so good to see the kids so happy together. We’re so glad we did it! Sometimes we just need to let go and just go with the flow! The act of blowing bubbles must be one of the most pointless things to do in this world – every single one of them bursts in the end! But that has not stopped any kids from doing it, for the simple reason that it is fun and fascinating! 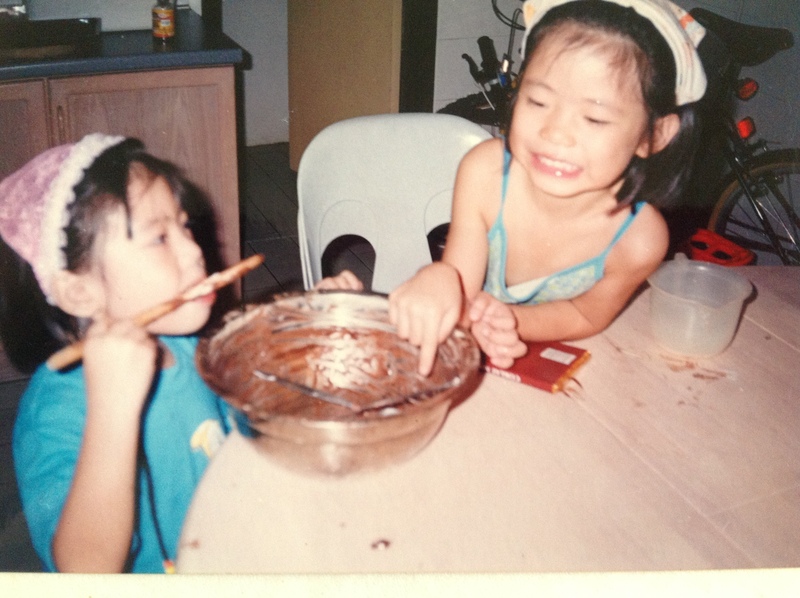 The love for baking began here in our tiny little kitchen.